We continue our art showcase series with the first leader of the Greek mythology – the mighty Zeus. 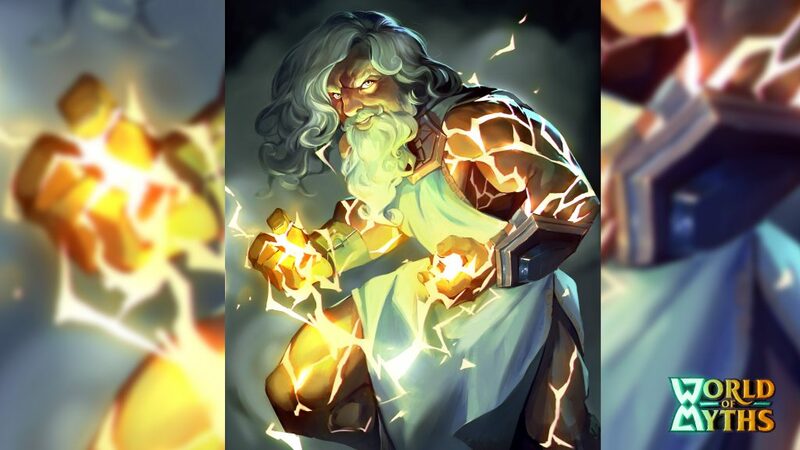 Zeus is one of the most recognizable gods nowadays. 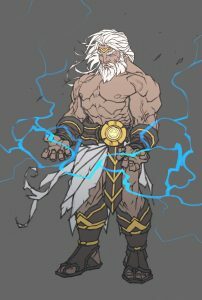 You see an image of a white-haired muscular man, with scarce clothing, holding a lightning in his hand and you immediately know that this is the God of the Sky in the Greek mythology. 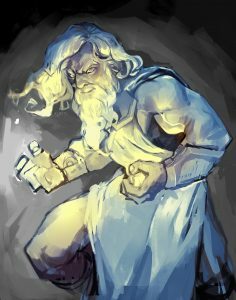 Our task was to keep all those characteristics that can relate an illustration to the deity and add a flavor of our own. It was definitely challenging in a different way than Amaterasu. 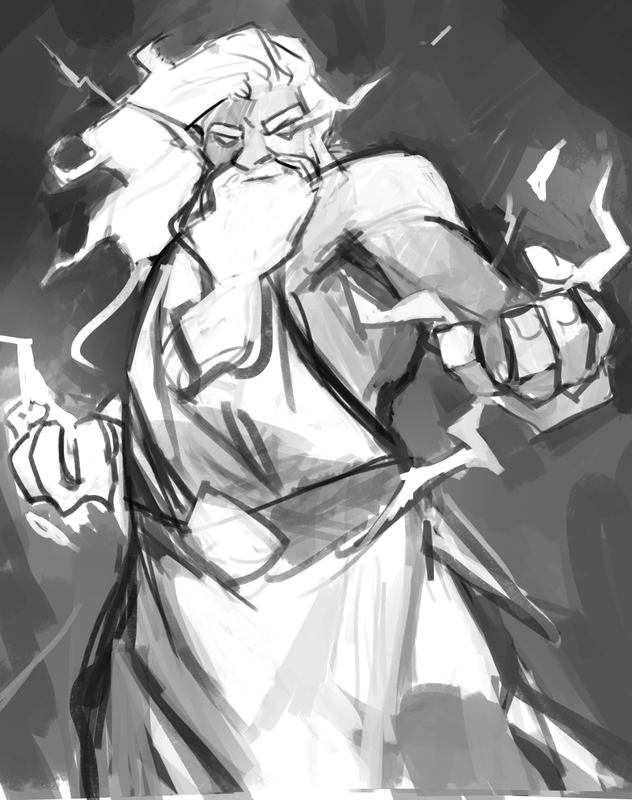 Zeus is the God of the sky, lightning, thunder, law, order, and justice in Greek mythology. 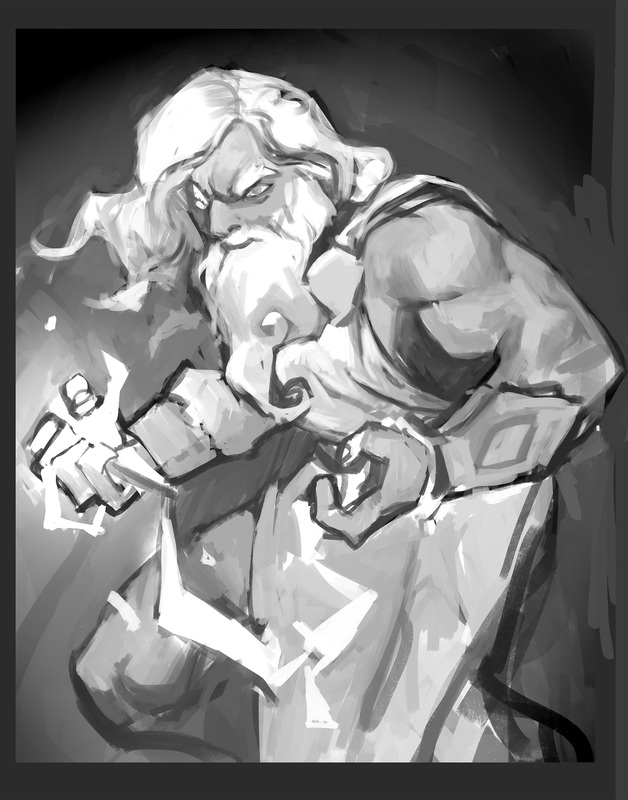 As the main god, he shares characteristics similar to Odin which is his equivalent in the Norse mythology. However, Zeus was one who often took different shapes – both human and inhuman to visit the mortal world. He seduced women and female creatures and he had a number of children. 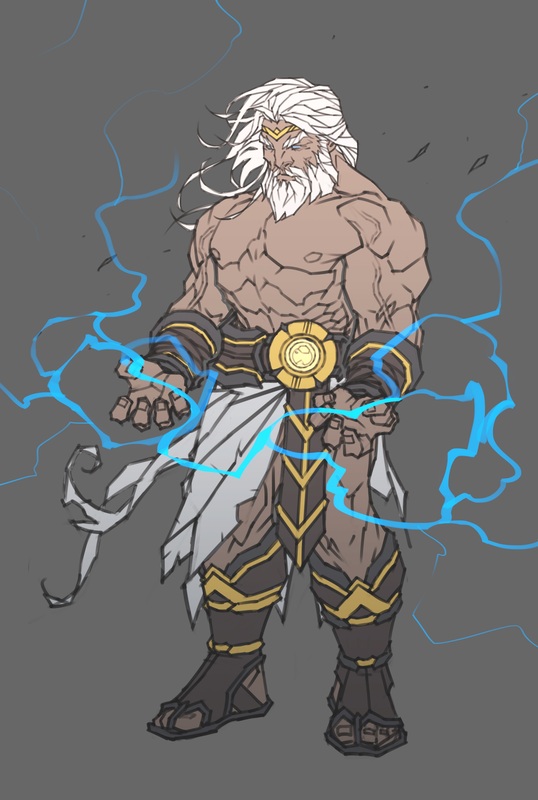 Zeus was often referred as “Father” by the other Gods but I guess this was not a way to joke about his many children but because he was accepted as supreme to the other gods in heaven. While he ruled the skies and heaven his two brothers ruled over the waters and the dead after overthrowing their father. 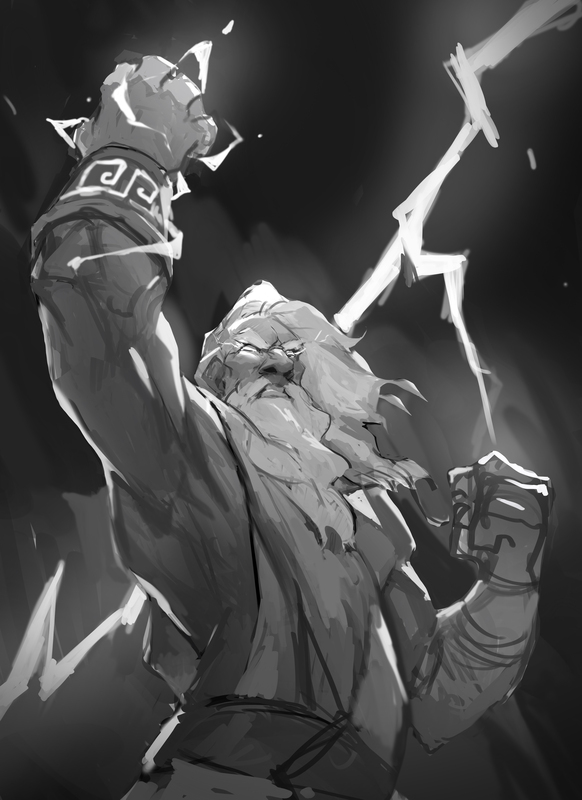 There are 4 symbols related to Zeus – the thunderbolt, eagle, bull, and oak. While the Thunderbolt is easily recognized and is part of almost any Zeus art you can find, the other 3 symbols are not that common. So we decided to stick with the traditional interpretation and focus on the image and feeling that we will deliver. We wanted to represent that hidden trickery associated with Zeus and his frequent shapeshifts. Add his deity presence and determination, and our goal was complete. However, we could not rely just on the emotion of the art. We had to find something that can make it unique. 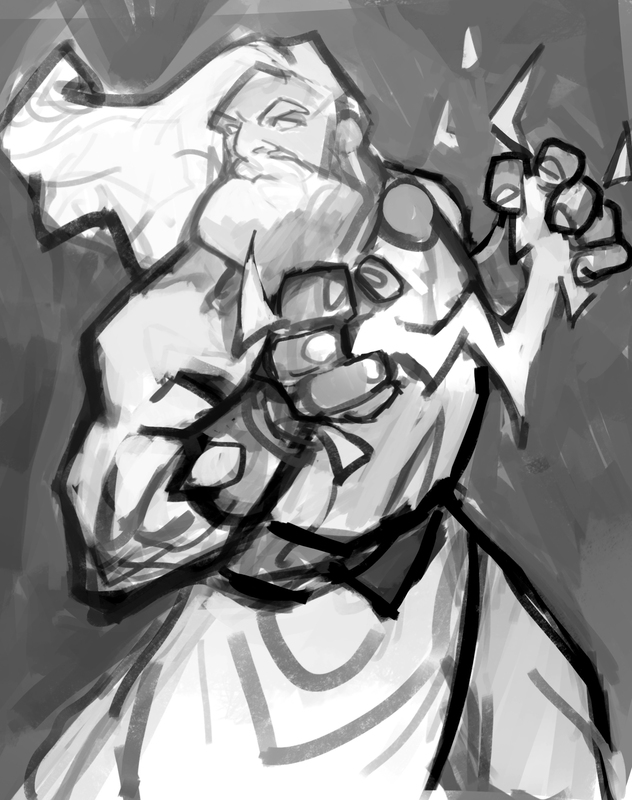 In most artworks, Zeus is holding the thunderbolt illustrated as he had caught it or generated it. 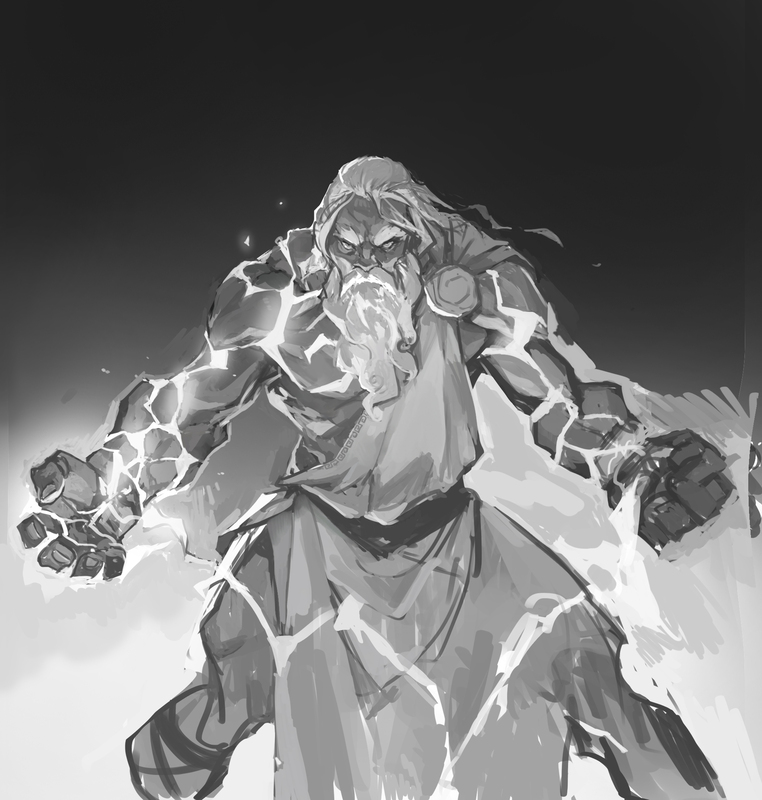 We wanted to try out something different – make the lightning spring up from Zeus as it is generated inside of him and make lightning cracks on his body as if he cannot sustain the energy inside. Most of those experiments happened to represent a more aggressive image than the one we wanted. We tried with more traditional posture as well. In the end, we managed to achieve what we wanted – the expression, the differentiation, and the cracked body. 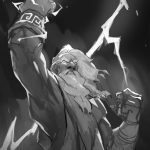 Do you think we have achieved our goals with Zeus? 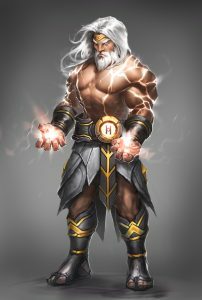 Zeus will be among the first leaders that will be available with the release of World of Myths along with Odin and Amaterasu. 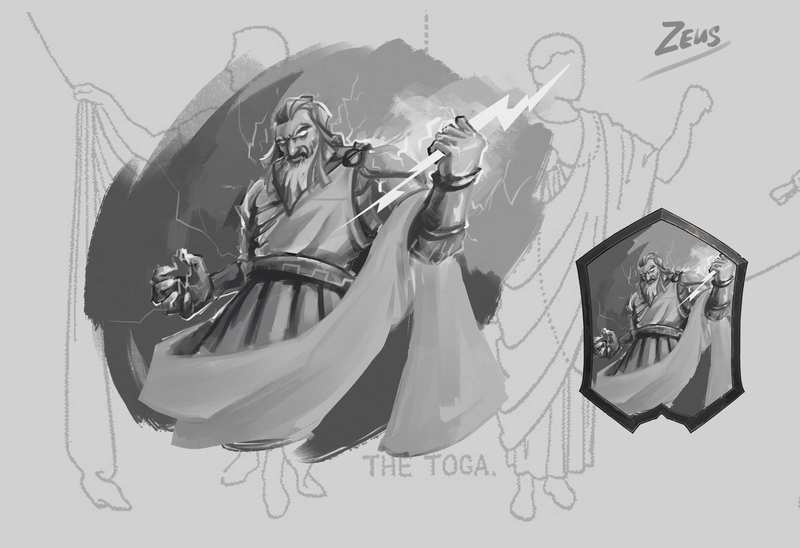 Our task designing Zeus’s effect was to present in a simple and concrete way the Greek mythology and its playstyle. When you hear Greek mythology the first thing popping out in your mind are the great champions and military formations but also the amazing philosophy, tactics and not last – the trickery (Trojan horses are still around). 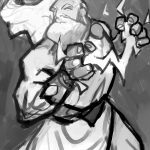 We wanted to focus on the outsmarting and make the trickery central part of the Greek playstyle. In World of Myths, this is easily related to the spells in the game. 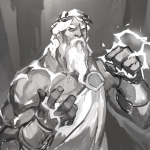 To support that strategy Zeus’ ability reads: “Return to hand the first spell you play each round. 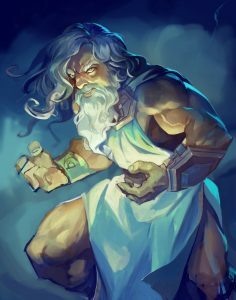 It’s immune to this ability now.” This way all spells have even greater potential in any Greek deck with Zeus as a leader. And this wraps it up for this week. 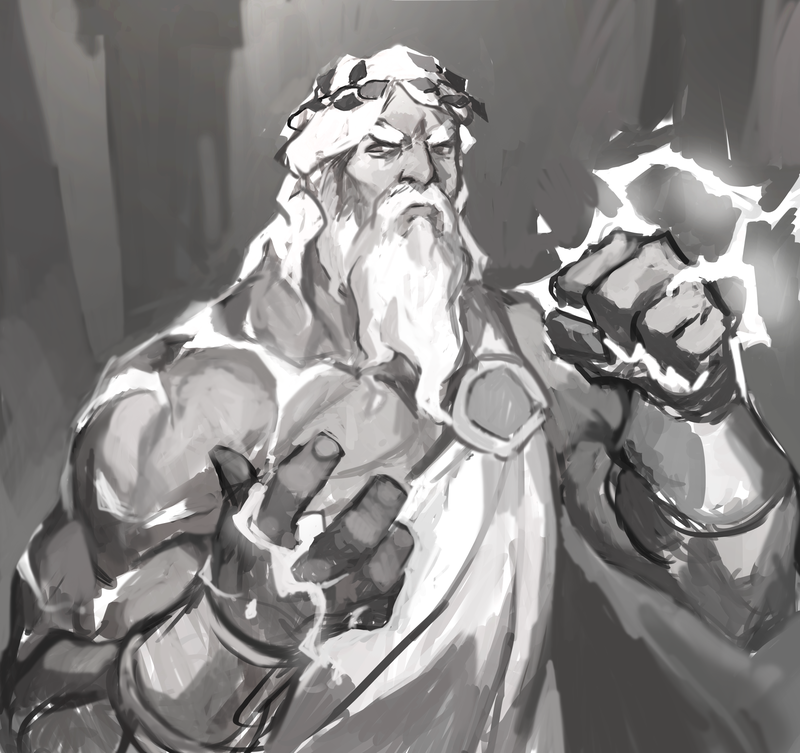 We would love to hear your thoughts on this art – what parts would you change to improve the feeling and the image of Zeus? 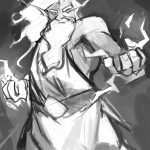 Don’t forget to subscribe and be among the first who will try the Greek mythology.